There is always a moment, just before meeting an old friend, when fear kicks in. Has the relationship fizzled, or do you just pick up where you left off? 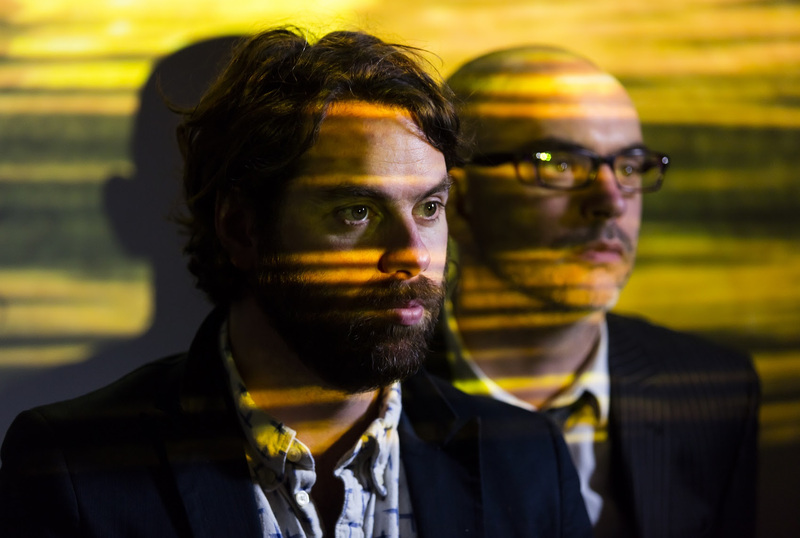 For Mike Lindsay and Sam Genders, Tunng’s founding forefathers, a magical Icelandic adventure of man chats, drinks-til-dawn, and a little ‘Northern Falsetto’ has found the pair re-igniting their spark on new record Throws. Nearly ten years since the release of Tunng’s third album Good Arrows and the last time the partnership’s imagination was let loose together – comes Throws; the sound of two old friends and collaborators reconnecting, catching up on each other’s lives and creating ideas on an enchanting island. During their time apart Mike had been living in Reykjavik and Sam had moved to Sheffield; it became apparent the two friends had taken dramatically different paths in love, location, and life. Curious what they could produce second time around; with no preconceived agenda Sam packed his suitcase and joined Mike in his Reykjavik studio, in the town’s industrial old fishing harbour, with no more intentions than catching up with his old buddy. A brilliantly varied record that couldn’t be further from the pair’s earlier incarnation, the two have channelled all they’ve soaked up over the years into salt-swept surroundings. Through the studio’s big windows over-looking the sea, synths, old guitars and an off-key piano would bring the elements onto the record. On the big pop of ‘High Pressure Front’ pizzicato strings drop like onomatopoeic rainfall on the water, whilst Sam’s soulful falsetto on the beautifully odd ‘Learn Something’, the traditional folk rooting of ‘Silence In Between’, and ‘Knife’s glitchy electronica all capture the town’s movement, energy, and throes of passion. “One day we were listening back to some mixes and I noticed someone in the live room fiddling with a synth. I asked him, “Hi, are you a friend of Axl’s?” He just grunted, then walked into the mixing room and picked up the big knife we were using to cut our cheesy lunch. It became pretty apparent he was a gentleman of the sea who’d just walked in from the harbour… my Icelandic isn’t great so we carried on listening to the mixes while he ate our cheese and gave approving slightly scary grunts. As for the name, Throws? “It feels right; like the past, the present, and the future,” tells Mike. “Besides, we like one word names beginning with T!” he laughs. Tracing relationships with all their twists and turns – romantic, bromantic and those brief encounters. 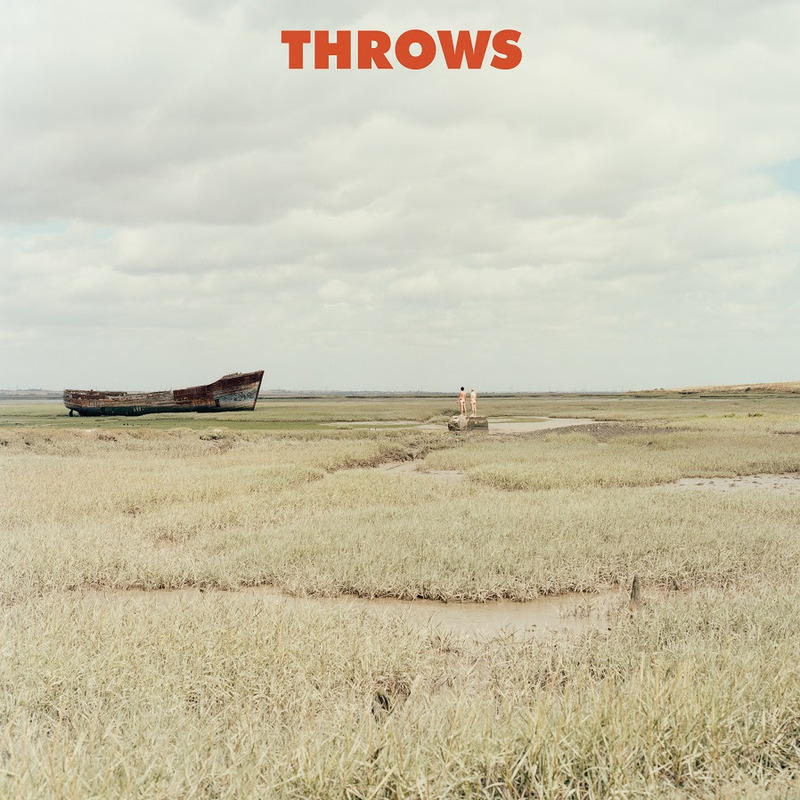 Throws is about being connected to your surroundings, friendships and rekindling the magic, but also very much about the present – living life with passion, no matter where it takes you. Sam concludes “if you accept the reality of life and the people you share it with then there are great big adventures to be had.